Whether it’s after a rough winter or following other severe weather – bad weather can help you assess your home so look on the bright side because it gives you the chance to take advantage of an otherwise undesirable situation in order to evaluate the state of your home and get a jump on any repairs or preventive maintenance required. Not only will this pro-active approach save future headaches but it can pay off by avoiding exorbitant emergency repair costs with a little prevention. Think of it as a free extreme test of the ability for your home to withstand the elements! Take advantage of the rain storm to ensure that your home does not have any leaks. Concentrate on the foundations, the doors and the windows to make sure that there are no leaks that have gone unnoticed during dryer weather. It’s a good idea to take pictures of the water infiltration and the progression of the repairs as further damage can occur if you wait. Once the storm has passed or that winter has turned into spring, get outside to have a closer look. 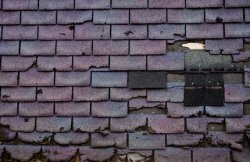 With binoculars in hand, examine the roof to check for curling, cracks, loose or missing shingles or shingles that have a smooth appearance which is a sign that they have started to deteriorate and must be replaced. Inspect the flashing to ensure that heavy winds or winter weather has not disturbed the edges around intersections or that rust has not settled in as this will undermine the seal and allow water penetration. Make sure that your gutters and downspouts run freely and are clear of debris. If water spills over the edges, they may be clogged and will need to be cleaned. There are a variety of options that can be installed to keep gutters clean which include metal or plastic screens, stainless steel netting or molded plastic covers that allow water in while keeping debris off. Inspect how the water flows, pooling may indicate that the gutter has sagged or that the 1 inch per 20 feet minimum slope has been undermined. This slope should be even more pronounced in areas that receive heavy snow or rain. Sagging can occur if it has not been secured at 2 foot intervals. 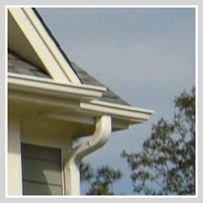 Downspouts must be secure and direct water al least 3 feet away form the foundation in order to prevent cracks and other damage. Finally, inspect the pool and any other out door fixtures on your property. Take pictures of any damage and communicate with the manufacturer or the installer in a timely fashion in order to ensure that you can take advantage of guarantees.